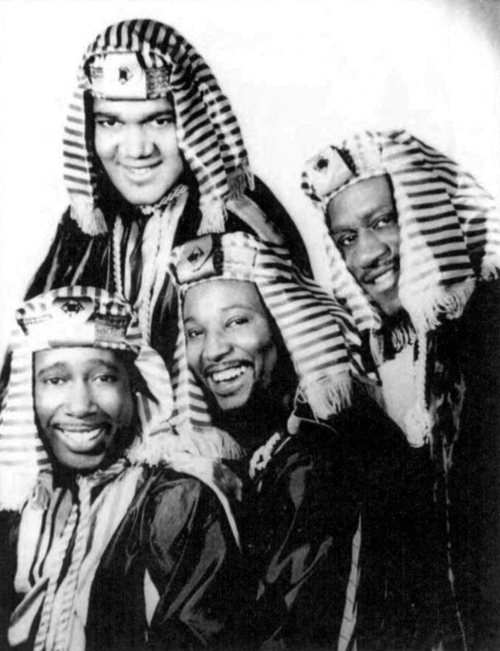 The Four Pharaohs were a top R&B vocal group in Columbus, lasting for more than 10 years and several name changes. 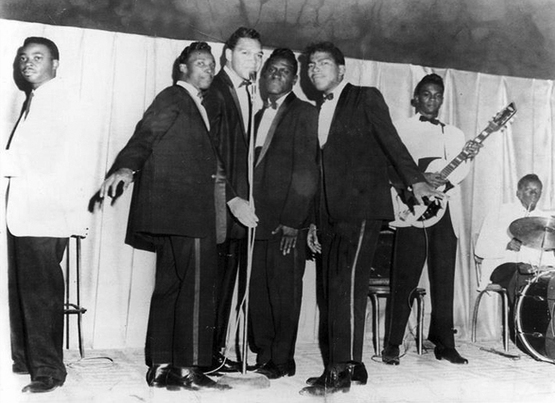 The group started as the Columbus Pharaohs by four teenagers, Morris Wade (on lead), Benard Wilson, Ronnie Wilson, and Robert Taylor The Wilsons were brothers who attended Central High School. Taylor attended East High, while Wade had moved between the two schools. The group recorded a 45 for Esta records in Hamilton, singing two original songs, "Give Me Your Love" and "China Girl". On the recording session, they were backed by Tommy Wills and his band, and the recording was done at King. At the time, the band was managed by Howard Ransom in Columbus, and shortly after the Esta record was released, he released the songs on his own Ransom, changing the title from China Girl, the correct name, to China Doll. To make things even more confusing, the Esta 45 had the group name as Columbus Pharaohs. 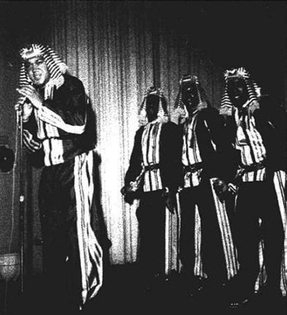 Possibly, Ransom wanted the record to come out under the group's correct name as Four Pharaohs. The record had some sales but only in the Columbus area. After a couple years, Robert Taylor left, replaced by George Smith, and Bernard Wilson was replaced by Robert Lowery, both from Columbus. This new lineup recorded a second 45 on Ransom, the ballad "Pray For Me" and the uptempo "The Move Around". When the record was released, the label name was mispelled as Ranson. Although being on a local label, this record seems to have sold more copies than the first one as plenty of used copies turn up. About a half year later (mid 1959), Ransom released a third 45. The artist was credited as Morris Wade with music by the Manhattans. The Four Pharaohs sang, and the backing band was hired by Ransom. The band was a working band that had backed up Sonny Til, Ransom gave them the Manhattans name, presumably to make people think they were a sophisticated group from NYC. The songs were "Is It Too Late"(mispelled 'To' on the label) and "It Was A Nite Like This". Around the time of this release, the group's first 45"Give Me Your Love"/:China Girl" was rereleased on the Paradise label from NYC. During the time these records were coming out, the group spent a lot of time on the road, playing standard chitlin circuit venues in Detroit, Cleveland, New York, Philadelphia, Baltimore, etc. In 1961 the group was reorganized as King Pharaoh and the Egyptians. 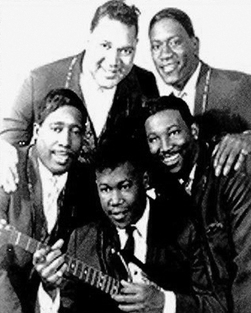 The group added a guitarist, Harold Smith, and George Smith left. Then, Robert Lowery left and was replaced by Paul Moore, who brought Leo Blakely with him. Harold Smith was "King Pharaoh". During this time, they recorded a 45 on Deluxe, using their usual style of a ballad "By the Candle Lite" and the uptempo "Shimmy Sham". In 1959 or 1960, Howard Ransom had moved to California where he continued in the record business. 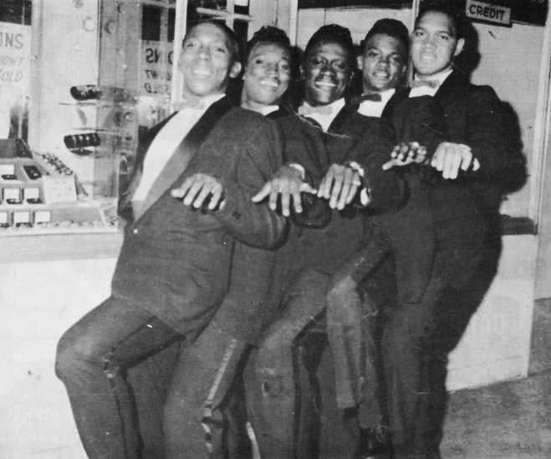 In 1963, with Pete Oden having replaced the last original member (other than Morris Wade) Bernard Wilson, the group decided to move to Los Angeles. They reconnected with Ransom, who had a new label, Nanc. 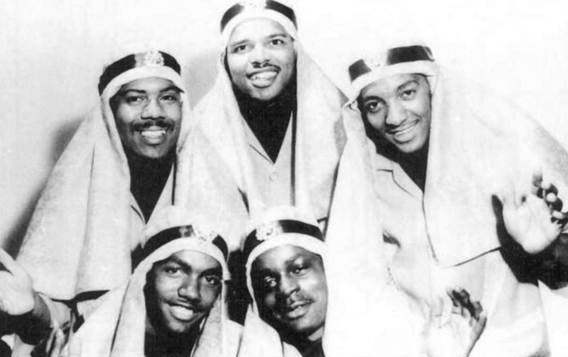 The group, now known as the Egyptian Kings - without Harold Smith - recorded a 45 on Nanc, featuring a remake of "Give Me Yout Love". After a couple years in LA, the group wasn't going anywhere so they returned to Columbus. William Suber replaced Pete Oden. The group tried to get something going with Way Out records in Cleveland, and performed there at clubs like the Music Box, but nothing came of that. There were no more recordings done. Finally, Morris Wade decided to relocate for good to Los Angeles, and that was the end of the Egyptian Kings (and their ancient Egypt inspired outfits!). When he was settled in LA, Morris joined a touring group that did USO shows. 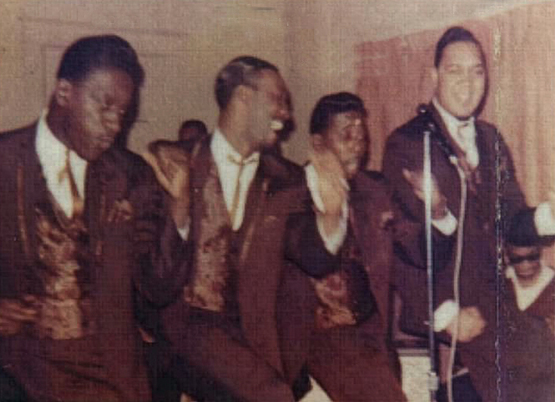 He joined fellow Columbus native Bobby Hendricks in a version of the Drifters in 1983. Back in 1974, he had an appearance as a hit man in the movie "Baby Needs a New Pair Of Shoes", later retitled "Jive Turkey", which was produced by Howard Ransom. Robert Taylor relocated to Vancouver, BC and became Bobby Taylor who recorded the hit "Does Your Mother Know" for Motown.